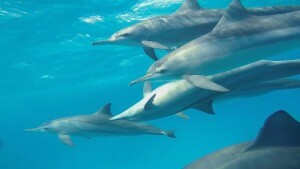 Swimming with wild dolphins in Virtual Reality as a therapy for patients suffering from, for example, autism or depression. The idea comes from the artist Marijke Sjollema, from Leeuwarden in the Netherlands. She set off to film wild dolphins in Egypt in 2015. The University Medical Centre Groningen (UMCG) embraced the project immediately. The hospital starts with a study of the effects of this new drug free medicine.